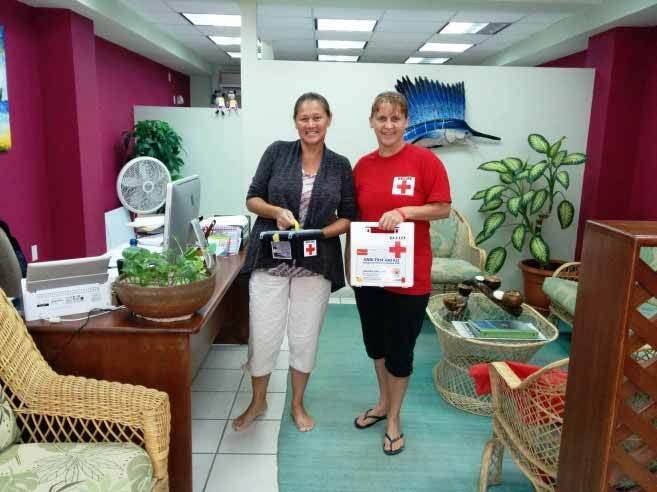 Register Log In AmbergrisCaye.com Home Forums Ambergris Caye Get your Red Cross First Aid Kit today! The San Pedro Red Cross (SPRC) is now offering first aid kits for both residential and business use. Having a proper first aid kit is very important in case of emergencies, and SPRC’s aim is to make the island a safer place. The American National Standard Institute (ANSI) First Aid Kits contain all the essentials for the immediate treatment of injuries. SPRC offers the Bulk ANSI Kit which contains 196 pieces, and is ideal for a small business with up to 50 employees or for a family home. The kit is Occupational Safety and Health Administration (OSHA) certified and carries 20 critical products needed for first aid treatment. It comes in a convenient plastic case for easy storage. Each kit sells for $200. To place your order contact SPRC member Shirlee Arnould at [email protected] or Laurie Norton at [email protected].